The demand for seaweed biomass is increasing for a wide array of uses including food, food additives, feed, bioenergy, nutraceuticals, cosmetics, as well as for biotechnological and pharmaceutical applications. 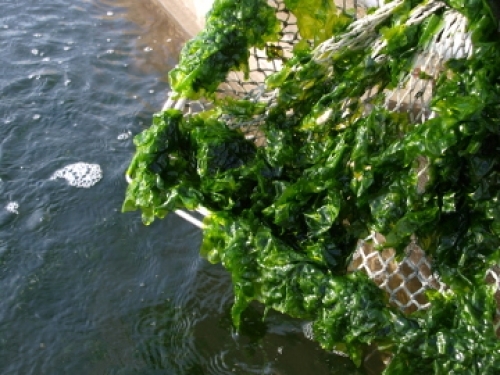 However, seaweed aquaculture practices currently rely mainly on empirical “seaweed gardening” techniques. For example, in France, Porphyra purpurea production involves simply immersing ropes in the sea to recruit naturally produced Porphyra spores present in the water column. 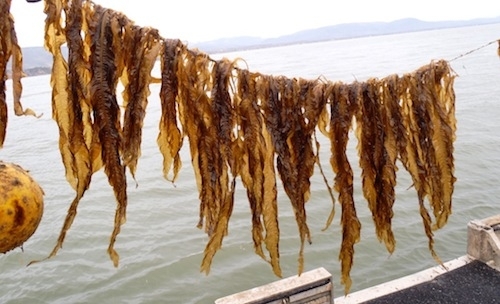 To improve aquaculture practices, there are major bottlenecks that must be overcome to succeed in deploying productive and sustainable seaweed aquaculture. In particular, seaweeds frequently have notoriously diverse and complex life cycles, which can complicate their cultivation. 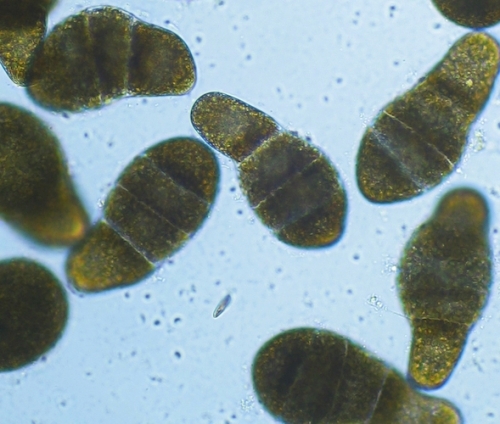 For example, the intensive cultivation of nori (a red seaweed species, Porphyra yezoensis) for sushi currently depends on the capacity to trigger, through light and temperature management, a meiotic shift from the diploid “conchocelis” stage to produce the tiny unicellular meiospore (conchospore), which ensures the production of the leafy haploid thallus, the edible phase. 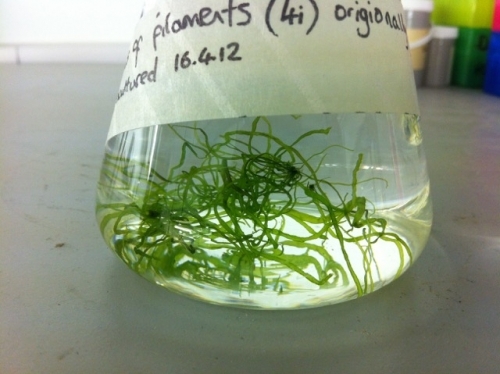 Therefore, the development of appropriate and efficient seaweed cultivation techniques requires fundamental biological knowledge on seaweed cell growth, development and reproduction. In-depth knowledge on the seaweed life cycles and the mechanisms that regulate them is the key to establishing practices to better control the different developmental stages, stimulate reproduction, optimize fertilization success, manage genetic resources and regulate vegetative reproduction and ultimately enhance the production of biological material with the desired properties. Seaweed producers generally agree that increasing our knowledge on basic seaweed developmental biology will improve production yields. Unfortunately, this kind of knowledge is largely lacking, because very little research is geared toward understanding the biological mechanisms controlling seaweed growth and reproduction. Seaweeds, which constitute a large and significant group of multicellular organisms, have generally been left out of basic biological research, and few attempts have been deployed to tackle the fundamental biology of seaweeds. In fact, most research to determine “how life works” in complex multicellular organisms have focused on plant and animal model systems (e.g. tobacco, maize, rice, Arabidopsis). Macroalgae are a phylogenetically distant and diverse group, which frequently hinders the direct application of cutting-edge technologies developed for plant and animal models. Modern molecular genetic techniques have the power to characterise the mechanisms behind the early and microscopic developmental stages, including those involved in fertility, spore/gamete release and fertilisation success. These techniques have only very recently started to be applied to seaweeds, creating a new impetus and a unique opportunity to understand the fundamental biology of seaweeds. Since 2010, four multicellular seaweed genomes have been published (the green seaweed Ulva mutabilis; the brown seaweed Ectocarpus siliculosus and two red seaweed species: Chondrus crispus and Pyropia yezoensis). The falling costs and the trend for mutualisation of these techniques also encourage transcriptomic studies in any organism, tissue, or even cell type (using laser microdissection) and eventually proteomic and metabolomic approaches. In parallel, ecophysiological approaches are essential for a better understanding of the role of endogenous and abiotic environmental factors in signalling pathways that favour growth of desired organs and tissues with specific structures and compositions. Furthermore, macroalgal-bacterial interactions may also play a role in the control of the seaweed life cycle and even morphology. In addition, new genetic tools – genetic crosses, hybrids, mutants – put the understanding of the life-cycle steps and ultimately their control within reach. Genetic-based research can contribute to the constitution of genetic resources, the selection of breeding strains and the study of the genetic and chemical (phytohormonal) factors in the vegetative-to-reproductive transition. In addition to the potential for knowledge transfer to the improvement of seaweed cultivation and its sustainable management, studying the life cycle and developmental biology of macroalgae is important for basic biology. 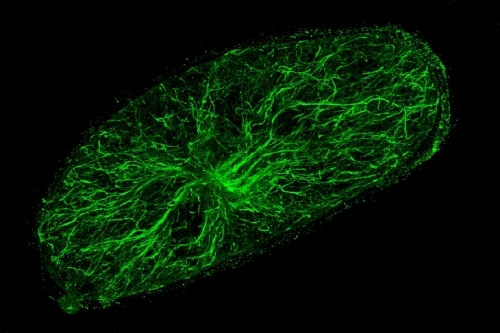 The fundamental questions about multicellular life -- embryonic developmental processes, cell differentiation, cell signalling, etc. – are of great interest to the evolutionary developmental biology (evo-devo) community. Therefore, efforts to fill the gaps in fundamental knowledge of macroalgal developmental mechanisms go hand-in-hand with improving seaweed aquaculture practices.